While writing my original testimony, I had an epiphany. 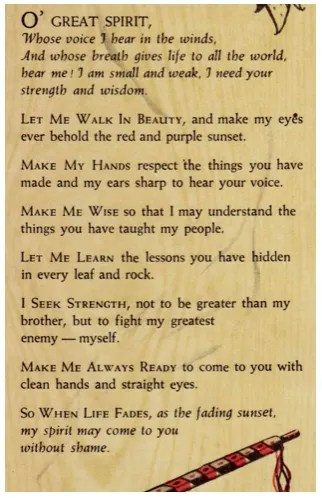 I found it ironic that I would join a gym called Vision Quest and then partake in an experience remarkably comparable to the Native American’s version. 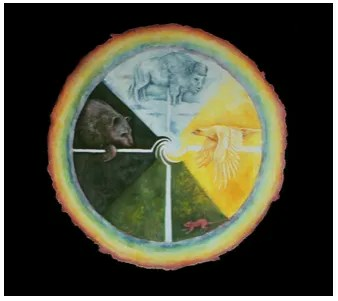 Native Americans’ vision quests are based on their medicine wheel, a circle with points in each direction, with a special attribute connected with each direction, and a spirit animal that helps guide them. The first place one starts on a vision quest is the south, the place of the mouse. 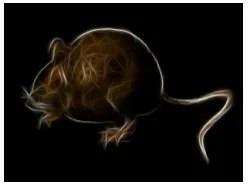 They say that a mouse can’t see past it’s whiskers, so it must rely on others in order to survive. The south is a place of trust. This is an incredibly difficult attribute for me to grasp, as I’m truly the last person who would let a group of random strangers into her life. But historically, being alone has often been my downfall. That voice that sabotages every good thing in my life always creeps in and tells me I don’t deserve this, I’m not good enough, that no one likes me. 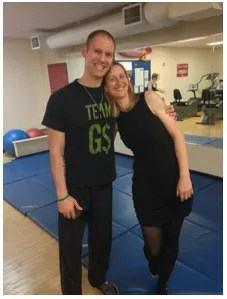 But this time around, I had a support group of “random strangers” that had invited me into their lives, encouraged me, worked out with me (some of you got up at the buttcrack of dawn to do so), and accepted me. Without you, that voice would have taken over, and I would not be where I am tonight. So I Thank you for teaching me that friendship and trust are risks worth taking. The next stop is the West, the place of the Bear. The bear is a strong animal, but not just physically. 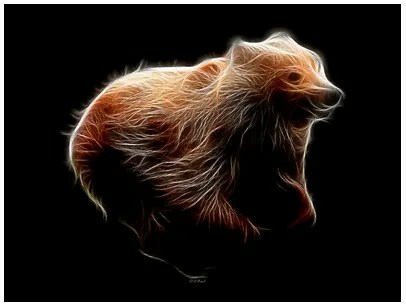 The bear displays inner strength as well. The trainers here have been my bear guides. Whether that was playing the role of my awkward and suggestive nemesis, or positively encouraging me to push through mental blocks during your grueling bootcamps, you taught me that I can do anything I put my mind to. I mean, you got me to RUN! Without a dangerous animal chasing me! The confidence you taught me helped in more than just my fitness goals. About midway through this challenge, I went on a little sojourn across the pond to Ireland and England in pursuit of a dream. If it hadn’t been for you believing in me, I wouldn’t have to tell you how much I’ll miss you all at this time next year, as I’ll be participating in a program that will very likely lead to a permanent position at the Dublin Zoo. And you all played an important role in my achievement, giving me the inner strength to succeed. 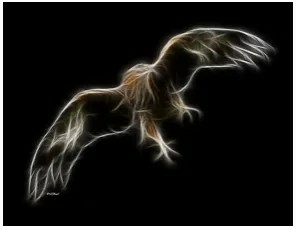 After finding inner strength, a person ventures on to the East, the place of the Eagle. Here, the eagle flies high, and can see the whole picture. It sees the truth and how everything fits together. And I have one hell of an eagle guide, folks. Gareth, you wanted to be my nemesis, but after all you’ve done for me and all we’ve accomplished, I could never view you as a nemesis. When I came here, I was lost. I mean, literally lost, I had no idea what I was doing, or where anything was. I was lost, and you gave me direction. One of our first sessions together, you called me OLD! And, looking back, maybe I was old. But I don’t feel old anymore: you have provided me with a fountain of youth. I was down, and you lift me up. Sometimes you simply lower the weight so I can lift myself up, but you are there giving me that boost. But the most profound change you have given me is my perception of myself. For the first time, I see myself for who I am, and I can say it because I believe it- that I am a beautiful woman. For most people on a vision quest, the east is as far as they go. But there are a rare few that find themselves venturing to the north, the place of the buffalo. 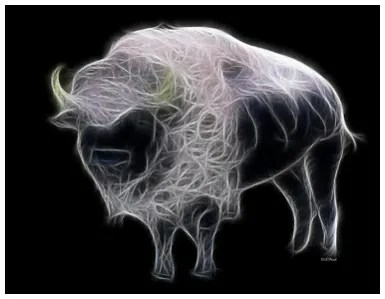 The native Americans have a term for buffalo in their culture. It’s “Tatonka”, but it doesn’t mean buffalo. It actually has two meanings. The first is “teacher”, and it’s a respectful term for an animal they so heavily depended upon. The other meaning is for those that have gone to north, and have had such an experience that they are not the same person as before. They are Tatonka, the Wounded Healer. And it is their responsibility to share their experience, strength, and hope with others. I am standing here tonight to share with you my journey. I have come through the other side and discovered that this experience has changed every fiber of my being. I AM a Wounded Healer, and I invite you to join me in your own quest. You will make new friends, find inner strength, and discover the beauty that resides in all of us. And I can’t wait to greet you with open arms on the other side.